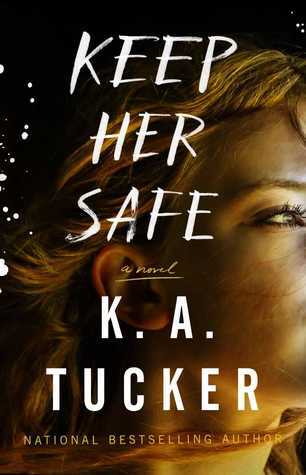 Keep Her Safe by K.A. Tucker. Even though I had already figured out that the ninja story wasn’t real, I remember feeling completely disenchanted. I guess that tiny flame of childhood hope for the impossible had still been burning, buried somewhere deep. I don’t know about you but it’s entirely too hot to do anything more than sit around in the shade with your feet in a cold bath and a milkshake close by where I live. Fell down an exhaustion hole, too, last week, sorry about that. But now fresh to work … err, book! If it is hot where you’re living, you might want to think twice before starting this book. On the one hand the crime aspect of it is sure to give you the chills but on the other hand there is quite a considerable turning up the heat aspect in there as well. Mind you it’s all very contained and has more of an unwilling attraction vibe than an outright heady desire. It is very easy for me to say that I came for the romantic aspect this author is so well-known for but I definitely stayed for the story. That really was one hell of a trip of morals, loyalty, and family. I especially liked the slow reveal using flashbacks and present time developments, and I thought that was handled very cleverly. I definitely didn’t see that second to last twist coming, but that last thing I could smell from a mile away and I would like to believe that the protagonist did, too. Maybe he deliberately chose to ignore it. Who knows … that might be what ties this a little too neatly in the short term. I’m not always one for epilogues that take place some time later but here it might have been nice to cast another short spotlight on how the characters are dealing with the aftermath. I had a few questions about how they were going to proceed, but this openness also works in the overall scheme of things. Whenever I picked up this book I was certain that not a minute later this song would come on on the radio. And even if it didn’t I’d still catch myself humming it. Fairly easy considering the title and all. But I have other books that instantly have music running in the back of my head. Do you have close book-music connections? Tell us about them in the comments along with your teasers. Great teasers. The book and author are new to me. This week I am featuring Wild Hunger by Chloe Neill. Happy reading!